Internet addiction has been a major behavioral disorder over the past decade. There remains a paucity of research to find the relationship between internet addictions and sleep quality in low- and middle-income countries such as Bangladesh. The aim of this study is to find the association between internet addiction and sleep quality among the medical college students. We conducted an analytical cross-sectional study in two medical colleges with 390 students in Dhaka, from December 2017 to May 2018. Pittsburg Sleep Quality Index was used to determine the quality of sleep and Orman’s Internet Addiction Test was used to classify the severity of internet addiction. It appears that the prevalence of poor sleep quality is 69.5% among the students and 68.4% of the students are having moderate to severe internet addiction. 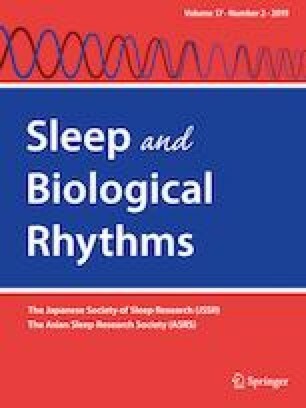 The results of multivariate logistic regression model indicated that the students with moderate and severe internet addiction are 75% and 95% less likely to have good sleep quality, respectively (OR = 0.25, CI 0.141–0.407; OR = 0.05, CI 0.013–0.118; reference: no internet addiction). Besides, the students who live with family during the class (OR = 1.74, CI 1.02–3.11), with smoking habit (OR = 0.236, CI 0.093–0.551, reference: non-smoker), not brushing teeth before sleep (OR = 1.705, CI 0.932–3.189), and housewife mother (OR = 0.576, CI 0.313–1.056; reference: working mother) are significantly associated with the good sleep quality among the medical college students. This study indicates that a significant proportion of students are having a poor sleep quality; there exists a positive correlation between internet addiction and poor sleep quality among the students. Thus, a necessity for developing interventions and education strategies to reduce internet addiction to improve the sleep quality in students is indispensable. Authors would like to acknowledge the participants for providing us the information to conduct the study. We would also like to thank the anonymous reviewer and the editor for insightful comments that improved the presentation and clarity of our manuscript. SMJ and SRH participated in study conception, design and coordination, data interpretation and drafted the manuscript. UBS, TR and AW reviewed the manuscript and helped to draft the manuscript. AH contributed in study conception, design, performed statistical analysis and helped to draft the manuscript. All authors approved of the final manuscript. Ethical approval for the study protocol was obtained from the North South University Review Committee and the two medical colleges. Click here for the data file http://individual.utoronto.ca/ahmed_3/index_files/data/data.html.